Victoria Jackson-Sears took third place in eighth grade girls shotput with a throw of 30’6.5” at the Plano ISD All-District Track Meet as a first year member of the Murphy Middle School Track and Field team. Izabell Glover “ Izzy” is getting in a batting lesson before this weekends tournament. Izzy is the starting catcher for frozen Ropes 05 and a 2023 graduate of Bland ISD. Izzy Glover Lifts 145lbs. FRozen Ropes Stars Starting Catcher. Izzy Glover starting catcher for 14U Frozen Ropes Stars Burgess. She is a 2023 graduate of Bland ISD. Izzy’s training for spring season and lifting 145 lbs. Victoria Jackson-Sears throws personal best in shotput with 32’1” for Murphy Middle School Track and Field. Ava (1st leg) secures the lead in the 4x400m relay to ensure the win! The relay team finishes the season undefeated District Champions! Ava takes it at the finish line to be the District 10-3A 200m dash undefeated District Champion! Ava (1st leg) gets a sizable lead for WMS in 4x400m relay to secure another 1st place finish! Ava clenches another 1st place finish in the 200m dash! Ava (anchor leg) finishes strong in the 4x100m relay to keep WMS undefeated! It’s another one over the fence for Frozen Ropes Stars (18u) Kaylee Draper for her Santos High School team. Sarah Cameron Frozen Ropes Stars (16u) comes through with a big hit to left field for her high school team bringing in a much needed run. FR Stars 14u Wood goes undefeated in the 2019 USSSA Spring Fling to take the Championship! They finished the weekend 6-0 and out scored opposing teams collectively 42-14! We are a softball organization dedicated to the training of girls who wish to become successful in the sport. At Frozen Ropes, we’ve integrated the latest research, the best instructional information, and our own skills and experience to offer the highest quality baseball and softball training in the Dallas area. 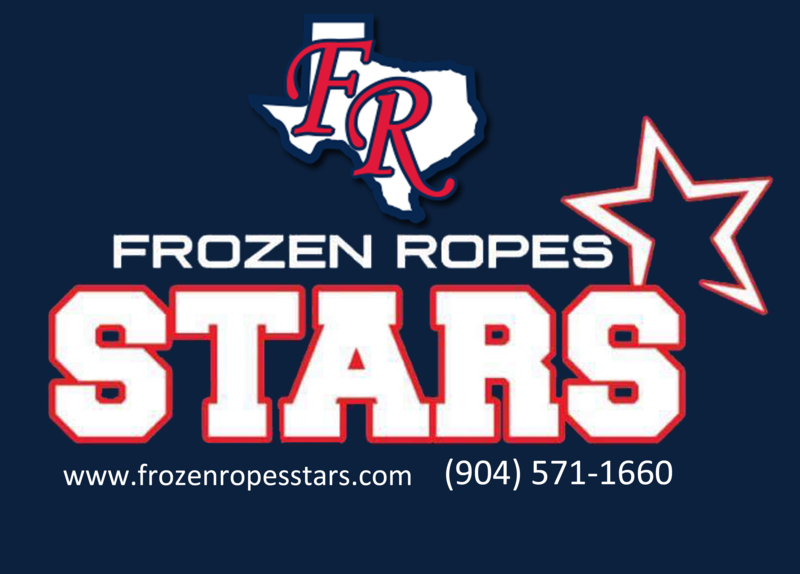 With over 20 years in the business, we’ve really been able to take our game to the next level, and the Frozen Ropes instructional model has challenged and changed the teaching methods now being used in the United States and abroad. We gather the best resources we can find and present them to our players with consistency and passion. Our goal every day is to instill in our players the same love of baseball our coaches gave us when we were young. Folks of all ages and skill levels are more than welcome to join us -- if you’re ready to learn, we’re ready to teach.